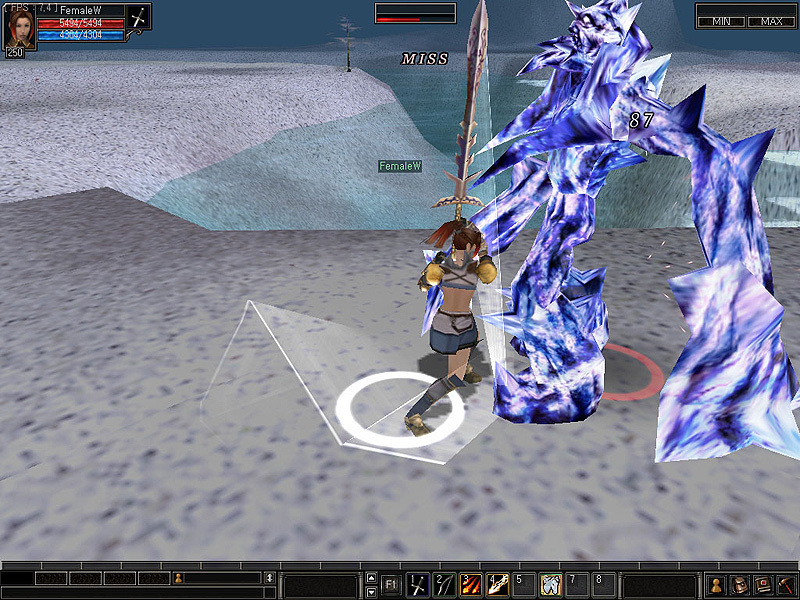 Deicide Online is a 3D fantasy MMORPG that tries to distinguish itself in a very crowded genre. The most distinguishing aspect of Deicide has to be the game's class system. Instead of just choosing your class after logging in for the first time, the way you play determines what class you will become. Each class or occupation requires a certain number of skills to be in that class. This allows players to go after different skill sets instead of being stuck in one of the standard MMO classes such as the warrior, mage or archer. Four types of attack skills: range, close, dark magic, and white magic. Reaching a total skill level of 25 allows you to become a certain class. For example, you can become an archer with a range skill of 25 or an assassin with a range skill of 15 and a close skill of 10. Classes/occupations include the Warrior, Bandit, Assassin, Archer, Wizard, Shaman, Blade Mage, Ranger, Paladin, Cleric, Druid, Monk, Poacher, Shadow Knight, Wanderer, and Hawk. Comment: It is ok, but it takes a while just to reach your class. I like the quick switch thing. It is kind of like WoW, but definitely not better. Comment: It is a fun game once you join a guild and make friends. The only bad part is that it takes too long to get the hang of it and to get to a total level of 25. However, once you get to 25 the game picks up and starts getting fun. Comment: Hard at first, but then easy and fun at the end.